Members of EBCF’s professional advisor network are invited to attend a behind-the-scenes tour of two new installations at The Oakland Museum of California. Explore the Black Power and Taking Native Lands and Lives installations with members of the OMCA exhibition development team. Black Power: In response to the widely-popular 2016 special exhibition, All Power to the People: Black Panthers at 50, this new installation in the Gallery of California History at the Oakland Museum of California illustrates the creative ways Black anti-racist activists in California supported their communities and challenged the U.S. government. Focusing on the example of the Black Panther Party, Black Power brings to light the tensions between a culturally and socially progressive California and examples of economic racism and oppression in the state. Taking Native Lands and Lives: A new display in the Gallery of California History explores the history of violence and genocide against Native peoples in California. Between 1848 and 1870, the Native population plunged from roughly 150,000 to 30,000. Greed for land and a deep-rooted racism led to brutal violence that was sponsored by the state government and carried out by its residents. Learn about this history in the early era of statehood and the legacy that continues to affect California today. 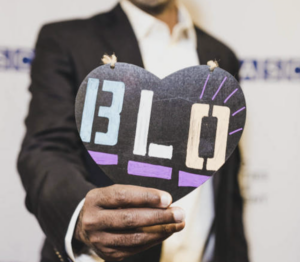 BLO Network events are a key component of the ASCEND:BLO initiative, providing peer networking, learning, and community building to all BLOs in the Bay Area. On May 17, the next BLO Network event will take place at the Silicon Valley Community Foundation from 1:30pm – 3:30pm, with the goal of supporting BLOs from Santa Clara and San Mateo Counties in building relationships and collaborations through connections with one another, as well as with funders. It is imperative that BLOs from these regions are seen and heard to begin to help close the philanthropic gap. The event will also help identify key capacity building needs for these BLOs to inform future events. Approximately 30 BLOs from the Santa Clara and San Mateo counties will be in attendance and will be encouraged to bring two attendees each. We also anticipate the attendance of other funders who support these counties. The program will kick-off with entertainment, followed by a welcome address and opening remarks. Byron Johnson, Capacity Building Initiative Officer for ASCEND:BLO, will provide an overview of the initiative. The event will provide structures networking activities, real-time polls to gather feedback on capacity building needs and interests, and a drawing for pop-up grants. The event will finish with closing remarks. This opportunity to network with peers is something that BLOs do not want to miss: learn from and be inspired by dynamic speakers and facilitators, and connect with funders committed to supporting the sustainability and sense of community of Bay Area BLOs. Registration will be complementary for BLOs and the Summit is being designed with guidance from a diverse Planning Committee.